With Thanksgiving over, it's time to focus on the most wonderful time of the year......CHRISTMAS! Whether you do it big, or small, Christmas is something that brings so much joy but also so much stress. Shopping for multiple people in your family can be difficult. How are we supposed to know exactly what everyone wants and what size they are?! Girls can be difficult, especially when it comes to clothes, because whether you want to admit it or not, us girls are picky! 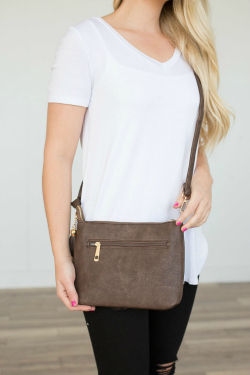 Stick with us at Magnolia and we will make shopping for any fashionista in your life a breeze! Buying accessories and easy sizing items will ensure she will love her gift and is perfect in size. We have so many new and great items for every girl in your family! We have all these gifts, and more, on the site now. Click the photos to shop right off the blog!